We can love a person with addictions without being an enabler. The line is difficult and outside judgments harsh. So we do what we can. Society slaps a tattered label condemning the innocent partners of addiction with enabling. Believing there is a simple cause to a problem creates security to those not afflicted. They smugly look on others, thinking that if their child or lover slid into addiction, they would draw the line, give tough love and force a cure. Society stigmatizes the family, after all, they must be doing something wrong. Co-dependency becomes the likely target, often citing a relationship as the cause spurring the undesirable habit into reality. The perceived enabling shuts healthy doors of support, leaving the vulnerable (families) working through a private hell alone. Addictions swoop down, unplanned and tears lives apart. The sober partner or parent is left to pick-up pieces and assemble a mess into a resemblance of wholeness. The assumptions of the uninvolved outsiders cast hurtful stones suggesting the husband, wife or parent aided in to the chaos with an enabling or complacent role. The judgments deepen the wounds and magnifying the shame. Co-Dependency: Emotional and behavioral pattern of interaction with others that interferes with healthy, mutually satisfying relationships. Codependence—also associated with relationship addictions—drives individuals to form relationships that are one-sided, emotionally destructive and or abusive. Codependence was identified during the 1980’s as a common trait in families plagued by addiction. Some codependence traits may be a human response to a deteriorating loved one in rapid decline. But when codependence is seen as a cause, the blame shifts from the person injecting poison to the people hurt by the destructive choices. On-lookers muse, “If they kicked them out, it would solve the problem. He only continues to drink because she supports it.” Ignorance is bliss. Problems suffered by others have simple answers—no emotional attachments, responsibility, or compassion. I live in a large city on the west coast. The streets are populated with those kicked out from family homes, facing consequences of cold nights, empty tummies, and poor health. The addiction problem solved. I’ve also seen the ravages of addiction conquered after loving care from concerned families. Drug and alcohol addictions are terrible. They tear apart lives. There is no simple answer. Some addicts stay at home, cared and fretted over and never change, constantly draining from the host, others kicked out live lives of meager existence, suffer and eventually die. And some, miraculously, recover. 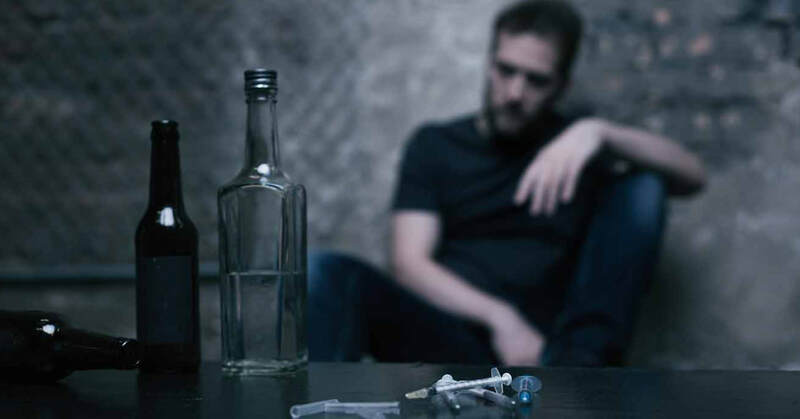 When the demons of addiction hook another soul into their harmful grasp, the addiction becomes a family problem with complex causes, responsibilities, cures and emotions. The family is involved in the cause and the cure. However, we error by shifting blame from the primary abuser. With human limitations, the surrounding cast of involved people are not co-conspirators in this tragedy. They may fail in judgment, support or reactions, like we all do in time of despair. Families may contribute to the anxiety and even encourage continued abuse without specific intention; but still the primary responsibility belongs to the adult downing the beer or sticking himself with needles. By displacing responsibility, we have resolved little over the last three and a half decades of co-dependency designations. Any action of goodwill, compassionate giving to relieve suffering, is twisted and labeled as enabling. A partner’s illness—addictions—is an independent choice (with all the inter-related contributing factors of childhood, eugenics and pre-dispositions) and not the fault of a caring partner, desperately hoping to aid recovery and to resume some normalcy. Caring compassionate partners shouldn’t be condemned; they should be commended. "When the demons of addiction hook another soul into their harmful grasp, the addiction becomes a family problem with complex causes, responsibilities, cures and emotions." The compassionate mother loading a cash card with twenty dollars a day for her daughter living in the creek, the father paying for a monthly room in the bad part of town, or the CEO sending an adult child to a secluded rehabilitation center are examples of compassion within the confines of a family’s resources. This is not co-dependency. Feeding the poor is not enabling; it’s compassionate. We magnify or lessen motivations of a partner (or adult child) through our actions; husbands and wives and parents can’t proclaim complete innocence. They are more than a curious observer from the platform, watching the train wreck; they are a vulnerable passenger on that speeding train. They play a role, but the resolution isn’t clear—tough love is not always the answer, and recovery (healing) is complex, determined by many co-mingling factors. And some habits are never defeated. The story lingers and ends in sorrow. The down-trodden are not helpless victims to co-dependent relationships, although their character and destroyed life may attract a co-dependent partner. An otherwise healthy person may tag along for the chaotic journey of addiction, unintentionally enforcing poor choices; but they can’t be blamed. The painful vexing of addiction haunts their lives as they blindly search for answers that aren’t available. The complicated causes masked in the unknown dance in shadows while the compassionate others fumble through a myriad of actions to facilitate the escape from this vortex of destruction. The poor choices continue, and consequences accumulate, digging a deeper hole, creating more damage, demanding more resources, more assistance, and more skills than loved ones can provide. Tough love—sending a struggling child or companion to the cold street—may be what sanity demands but not compassion. The partner or parent are strapped with a costly decision—how much can I give; does what I give help or hinder; and can I live in the throes of daily disruption. Sometimes, we need the escape; we can do no more. The addict moves out and guilt moves in. The right answer is very individual. We are forced to choose, either through purposeful action or quiet submission. What’s best for the caregiver is not always best for the addict; and what’s best for addict may destroy sanity and stability. The complexity blurs the painful choice. In the dark clouds of uncertainty, subjective and biased decisions must be made. And all the while, some outsiders scorn the lonely fighting this unfathomable choice. A visit to a local AL-Anon or NAR-Anon group quickly introduces hosts of others also daunted to solve the unsolvable—addictions of loved ones. No quick fixes are taught, just sorrows are shared, and hopes embraced. An association with others working through the nightmare of difficult months and years, helpless while waiting for improved choices from the user. 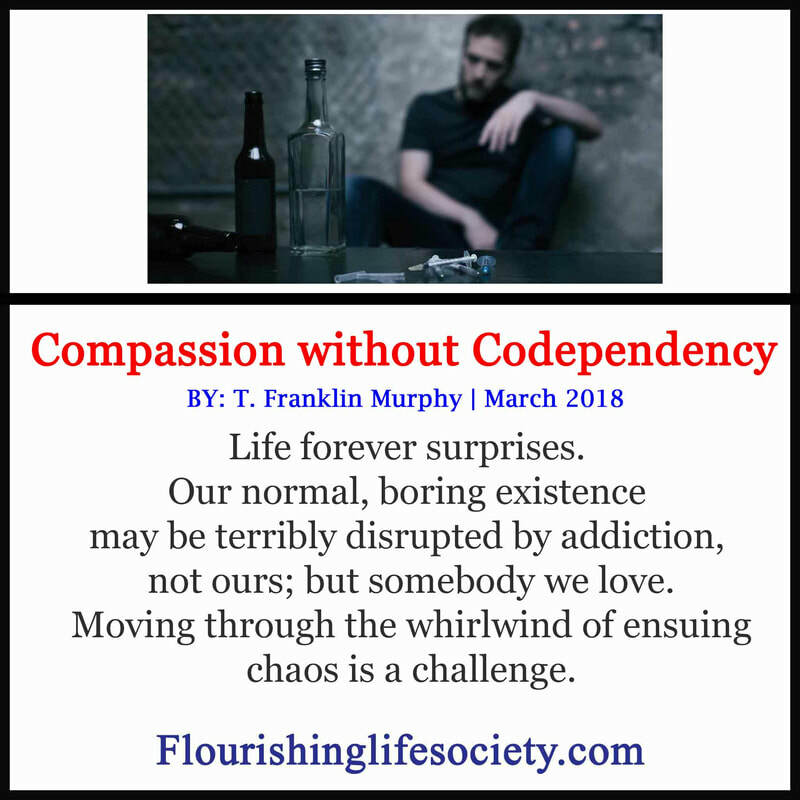 Compassion, not codependency, ties hearts together, empathetically feeling the pain, doing what one can, within the resources available, while maintaining some level of sanity and life enjoyment. Every life, no matter how grand or sparse the beginning encounters troubles. We don’t choose what events befall us. We can endlessly ruminate the past, giving life to what was and wasn’t done, but satisfying answers can’t be found. We never will know the impact of the undone. We could change everything and still arrive at the same desolate destination. We hang onto hope, alleviate pain where we can, and move forward nurturing other aspects of our lives.